"Spiritual Care and Social Work: Integration into Practice"
"Spiritual Care and Physicians: Understanding Spirituality in Medical Practice"
"Spiritual Care and Nursing: A Nurse's Contribution and Practice"
This Type of Care Can Sharply Reduce Medical Costs, So Why Aren't More Doctors Ordering It? 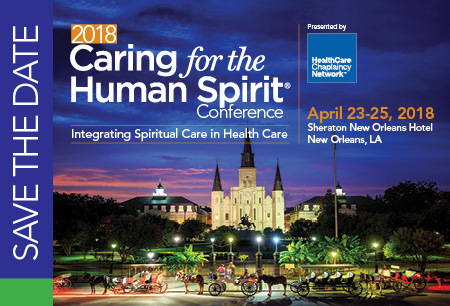 Submissions for workshop proposals for HealthCare Chaplaincy Network's 6th Annual Caring for the Human Spirit Conference in Myrtle Beach, May 20-22, 2019 are open. We invite researchers, chaplains, nurses, social workers, physicians, patient experience officers, and others to apply and present on best practices, latest research, or other topics to a diverse audience of healthcare professionals. Proposals related to community palliative care or pediatric palliative care will be especially welcome. More information about the conference can be found online. HealthCare Chaplaincy Network (HCCN) and its affiliate, the Spiritual Care Association (SCA) have released their newest white paper on the integration of spiritual care for the role of a social worker in the medical field entitled "Spiritual Care and Social Work: Integration into Practice." 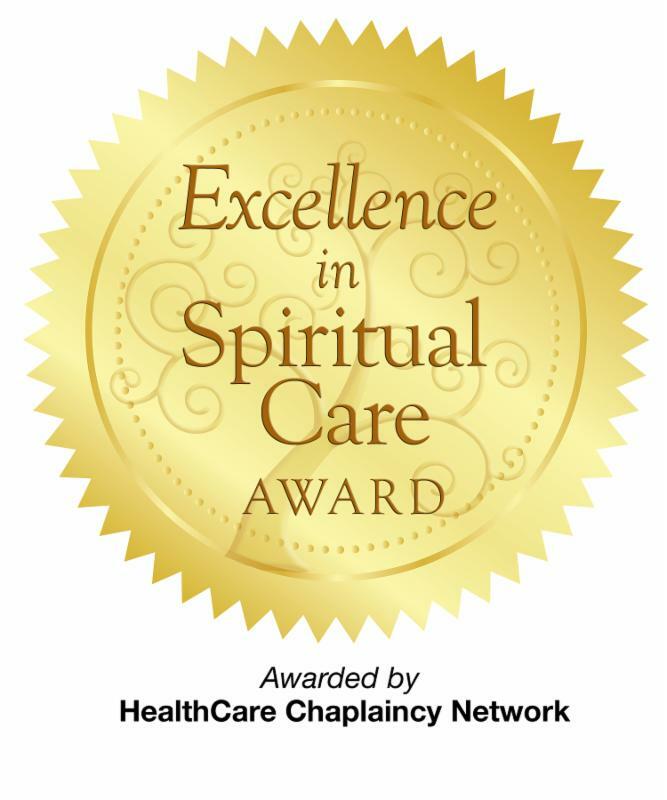 The Excellence in Spiritual Care Award from HealthCare Chaplaincy Network is a prestigious recognition of excellence in spiritual care in your organization. HCCN/SCA has announced a new distinction from the Spiritual Care Association: Advanced Practice Board Certified Chaplain (APBCC). These chaplains have been trained and tested in standardized curriculum based on the latest evidence in areas including department management, HIPAA regulations, the assessment, diagnosis, and treatment of spiritual distress, cultural competency, advance care directives, patient clinical care, staff support, grief, and bereavement among other essential topics. Go to the SCA Certification website for more information on credentialing and certification as a chaplain. HCCN/SCA has announced a new distinction from the Spiritual Care Association: Advanced Practice Board Certified Chaplain (APBCC). Our certification process and the inclusion of our evidence-based educational training, our patient exam, and knowledge-based test have prepared a mass of chaplains who exhibit significant additional knowledge and skill. This new designation of APBCC now denotes the accomplishment and the distinction these chaplains have demonstrated. Spiritual Care Association (SCA) President and CEO Rev. Eric J. Hall visited Washington, D.C. on Tuesday, March 6, 2018, to advocate increased awareness of the importance of spiritual care and to promote legislative and regulatory initiatives to expand access to quality spiritual care. The webcast provides an excellent opportunity to engage your entire staff or multiple members of an organization who might not otherwise be able to attend or conference in-person. Registering for webcast facilitates the sharing and dissemination of knowledge while minimizing cost and travel time. Offline: "A Sea of Suffering"
HCCN-TV® The Spiritual Care Network is a series of ten television episodes that provide spiritual care information, inspiration and comfort. Spiritual Care Association (SCA) President and CEO Rev. Eric J. Hall visited Capitol Hill on Tues, Dec. 12, 2017, where he met with key members of Congress to expand access to quality spiritual care. HealthCare Chaplaincy Network™ hosted its annual Wholeness of Life Gala on Thurs, Nov. 16, 2017, at Guastavino's in New York City. Each year, the organization recognizes men and women who dedicate their lives to the spiritual care field in their community. This year, HCCN honored seven individuals. Pre-Conference Intensives on Sunday, April 22. Our 2017-2018 Accomplishments and Outlook: Creating the New World of Spiritual Care is now available online!